Bob Collymore (born 1958) is a Guyanan-born British businessman currently living and working in Kenya. He is currently the chief executive officer of Safaricom, a multinational telecommunications company. Bob Collymore started schooling in Guyana while still living with his grandmother until age 16 when he moved to the UK to join his mother in 1974. He joined Selhurst High School for Boys in London where he completed his formal education. Here he experienced some form of racial discrimination since he was the only black child in his class. From 1993, Collymore worked in various positions in the telecommunications industry in the UK, including work for Cellnet, Dixons Retail and Vodafone UK. In 2003 he moved to Japan to manage the integration of J-Phone into the Vodafone Group. In 2006 he became the governance director for Africa at Vodafone and subsidiary Safaricom. 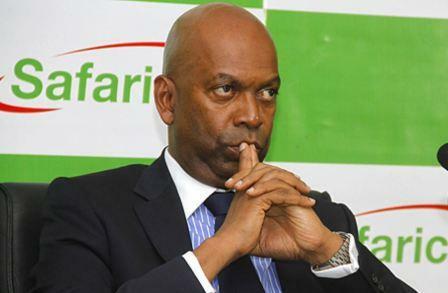 In 2010 he was appointed chief executive officer of Safaricom. Collymore married his second wife, Wambui Kamiru, on April 2nd 2016 in an invite-only wedding at an upmarket residence in Kitisuru, Nairobi. Collymore met Kamiru in Nairobi during a fundraiser for survivors of the Loreto Convent Msongari school bus crash that occurred in July 2011. Wambui was part of the event in her capacity as an alumnus and Collymore was there representing Safaricom Foundation with fundraising. Collymore has two stepdaughters from his wife's first marriage to Joseph Kinyua. In Bob Collymore individual assets declaration 2015, Collymore revealed he earns Ksh 10 Million a month, adding up to close to Sh109 million per year. The Safaricom boss is also worth over Sh200 million in assets and cash both in Kenya and overseas. Bob Collymore, who has been working for over 30 years, has a residential house in London, UK worth USD 530,000 (about Ksh53,000,000), cash balances in local banks worth USD 203,000 (about Ksh20,300,000), Safaricom Limited shares worth USD180,000 (about Ksh18,000,000) and Vodafone PLC shares worth USD871,000 (about Ksh 87,000,000). He also declared his dividends and income of USD 5,800 (about Ksh580,000) in the last 12 months. 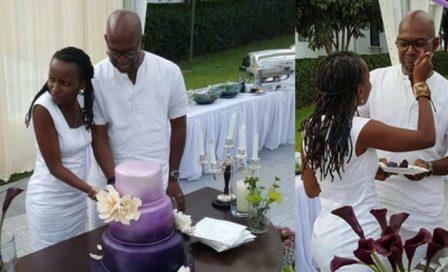 Safaricom chief executive Bob Collymore married his partner, Ms Wambui Kamiru, at an invite-only purple- and white-themed ceremony in Nairobi. 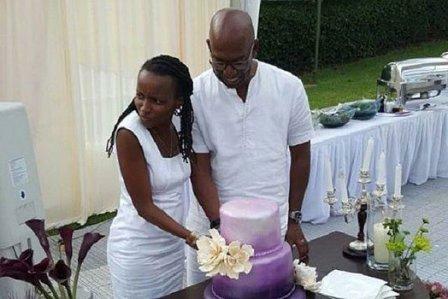 Collymore, who has been the CEO at Safaricom since 2010, wed Ms Kamiru at a private residence in Kitsuru, an upmarket residence in Nairobi. The couple has not issued a public statement on their marriage, but reports indicated that the wedding took place on Saturday, even though pictures from the reception only surfaced and were shared widely on social media Sunday. The bride is the Founder of The Art Space. According to her blog, The Art Space is an independent commercial art gallery situated on Riverside Drive in Nairobi. Invited guests who included the Attorney General Githu Muigai, radio personality Caroline Mutoko, Kenya Film Commission’s Chris foot and talk-show host Jeff Koinange who all posted pictures of the celebration that appeared to feature a performance by Musician Juliani. The guests congratulated the couple and commented on the joy of the occasion. “Congratulations to Mrs and Mrs Collymore, finally ties the knot” tweeted Bharat Thakrar, the CEO of Scangroup, “They look happy (sic)” he said of the couple. The details known about Bob Collymore family is that of his mother and grandmother. Nonetheless he now has a wife and two daughters that his wife got from her first marriage with a man called Joseph Kinyua. 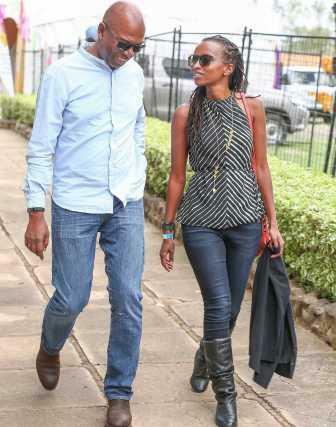 Wambui Kamiru had been married to Joseph Kinyua in 2007 and blessed with two twin daughters. 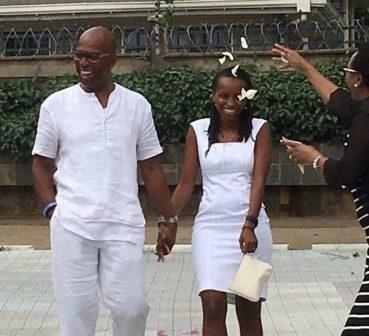 At the moment, Bob Collymore has no children of his own but now he will be raising the two daughters of Wambui Kamiru and Joseph Kinyua.